The percentage of people who fail to begin hepatitis C treatment after they are prescribed therapy is rising, mainly because insurance companies and other payers are denying coverage, Trio Health has found. Hepatitis C non-starts jumped to more than 30% in 2016 from 8% in 2014, according to the La Jolla, California-based company, which tracks patient, physician, and pharmacy data. The company has collected information on 15,000 patients with hepatitis C since 2014 amid the launch of new direct-acting antiviral (DAA) drugs. “While the number of treated patients continues to decrease, the total number of patients seeking treatment for their condition continues to grow each year,” said a Trio Health news release. The researchers evaluated the use of all DAAs. These included ledipasvir and sofosbuvir (Sovaldi/Harvoni, Gilead Sciences Inc.), sofosbuvir and velpatasvir (Epclusa/Gilead), ombitasvir/paritaprevir/ritonavir with dasabuvir (Viekira Pak/AbbVie), elbasvir and grazoprevir (Zepatier/Merck & Co.), and daclatasvir (Daklinza/Bristol-Myers Squibb). Studies show that DAAs, which are taken in pill form, eliminate the hepatitis C virus more consistently and with fewer side-effects than previous treatments based on interferon injections. 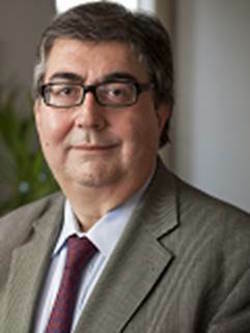 When a drug improves outcomes, reduces costs, and shortens treatment time, patients’ access to such successful therapies generally increases, according to Nezam Afdhal, MD, (photo) a professor of medicine at Harvard University and chairman of Trio Health’s Scientific Steering Committee. Not so with hepatitis C. Fewer patients are getting care even though more of them are seeking it, he said. The data showed that 37% of the patients who were tracked and had no-to-moderate hepatitis C in 2016 did not start treatment after being prescribed therapy, while 24% who had severe-to-cirrhotic levels of the disease didn’t begin treatment. The findings indicated a worsening trend for patients with severe fibrosis or cirrhotic disease who were covered by commercial insurance: 39% with no-to-moderate hepatitis C failed to begin treatment, while 36% in the severe category didn’t start therapy. Patients with Medicaid coverage had the highest total non-start percentage: 64% for those with no-to-moderate hepatitis C levels and 34% for those with severe-to-cirrhotic disease. For patients with Medicare, non-starts in the no-to-moderate category were 17% and 13% in the severe category. “This information is critical to understanding the delivery and utilization of healthcare across the US, regardless of coverage,” the statement said. The company, which advocates for patients who have been denied coverage, plans to release updated figures on hepatitis C treatment non-starts throughout the year. Trio Analytics, the unit of Trio Health that analyzes data from physicians and specialty pharmacies, receives sponsorship from all of the manufacturers of oral direct-acting antivirals including AbbVie, Gilead, and Merck. The news release was provided by Trio Health.